I've played on winning teams and losing teams. I've coached youth teams that were really good and others that struggled. I've celebrated with teammates and players I've coached on the field. I've cried with them too. I find it amazing that you seem to have been able to develop a simple quantitative measurement of the value of a football program. Please enlighten us on what factors should considered when you calculate the ROI of a high school football program.... Is it monetary profit? Is it judged purely on the scoreboard or record? Championships? It seems like you spend a lot of time here for someone who appears to dislike high school football. All seems to be about transfers between private schools without defined boundaries. This absolutely needs to be part of the discussions surrounding 8-man football. Nope. There will be absolutely no appetite for that in LaPorte. I was primarily talking about kids in 3rd grade and below. The divisions Pop Warner is doing this in basically cover kids up to 4th grade (possibly 5th grade in Jr. Pee Wee for older/lighters). Tiny Mite and Mighty Mite are "supposed" to be instructional. They're not even supposed to keep score at the Tiny Mite level (of course everyone does). Getting into a 3 point stance and firing out with your hands making initial contact and with your head up is just a difficult set of mechanics to get a 7 year old to get sometimes. Are there kids who can do it? Of course. But a lot have difficulty with it because their bodies just cannot do it because their arm and leg proportions are so out of wack for some kids at that age. As a Pop Warner Coach I welcome this at these levels. One of the most difficult things to get a younger player to do at that age is to get into a proper stance. Often times this is simply due to geometry of a growing body. Their bodies just aren't built to get into a proper stance. This leads to kids who either squat like a frog; or kids who get their butts up, but can't lift their heads to see what is in front of them. Things will definitely be different... the reason is right in the article: "It all sets up the passing game." Welcome to La Porte Coach Lowery! I assume that the "GID brass" did it for the same reason I volunteer to coach youth football, serve on youth organization boards and to work varsity games on Friday nights; they love this game and believe in its value. I would hate to see this site go to a pay site. I'm happy to donate now, but I think there are a lot like me who will lurk and post only once in a while. 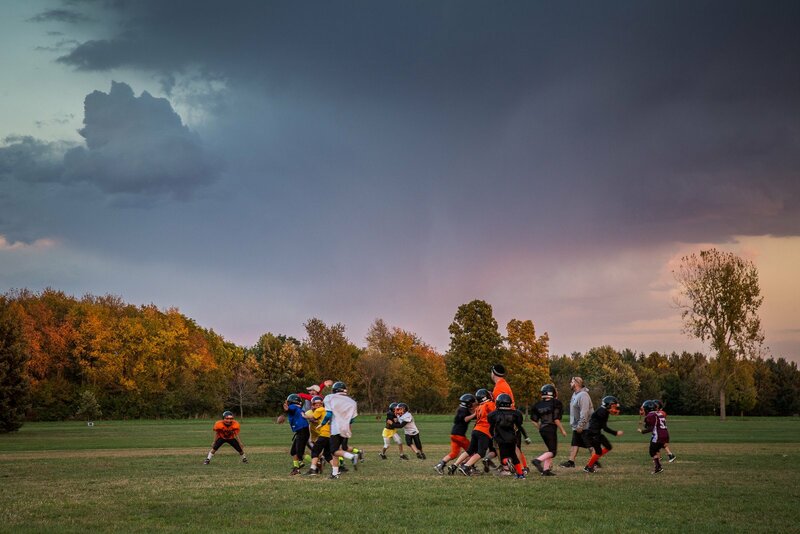 Youth and high school football in Indiana is driven by volunteers. Yes, there are paid coaches at the high school level, but for the most part it's peanuts. Assistants, parents, players, boosters, youth coaches, etc.... none of us are in this for the money or for profit. Dave Sharpe was a great coach for this team and this town and personally I hated to see him go. When Coach Sharpe was hired it was not because of the Power T. He was hired because he was believed to be the best candidate. I think the results he was able to get out of the program for the 4 years he was here is solid evidence that he was a great choice. I have faith that the selection process this time around will produce another great selection. Personally, I loved the Power T, but that wasn't the only reason those teams were successful. There were good players and good coaches who all believed in each other and the systems they were running. Remember, the year before Coach Sharpe arrived La Porte was in the 5A state finals. I'm not going to theorize about why Coach James wasn't hired the last time around. I love that guy and I'm so glad he's a part of our community. My understanding is that interviews at La Porte are underway. There were lots of good applicants and hopefully there will be a resolution in the next few weeks. Yes, Bob James publicly announced this week that he did not apply for the position. Bob is the heart and soul of the program and we are so lucky to have him around.